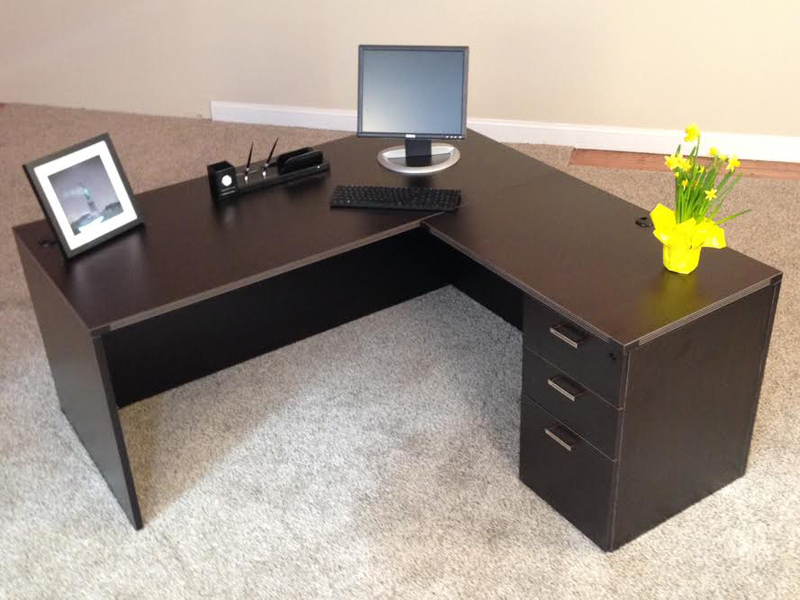 72" x 72 " rectangular L-shaped desk with locking box/box/file pedestal. 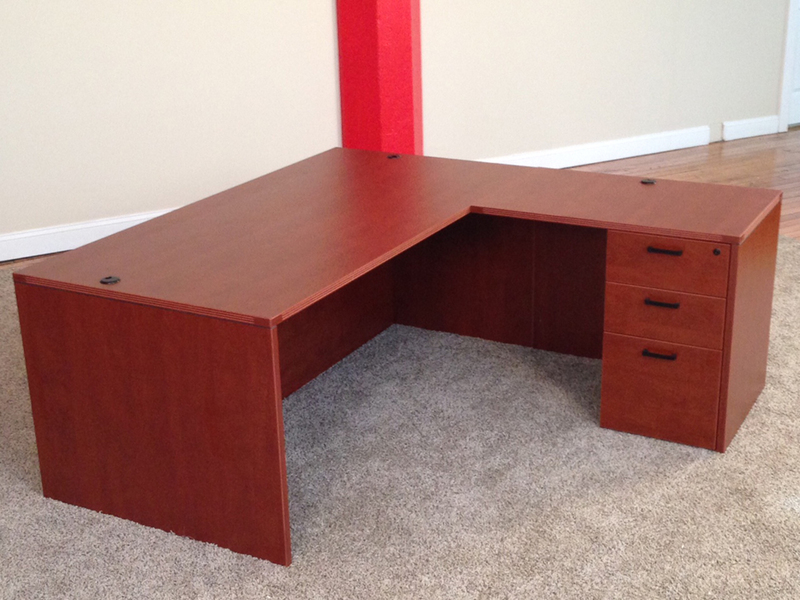 Main desk measures 71" x 36", return 36" x 24". Left or right handed.